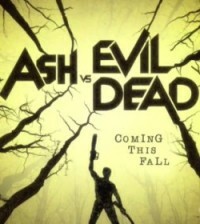 The second season of the Starz series, “Ash vs. The Evil Dead” has just premiered and the network has already decided to renew it for a third season! According to a report from Deadline, the second season had a considerable increase in viewership over the first season. The season 2 premiere episode had about 733,000 viewers, a 14 percent increase over its season one premiere. But probably the biggest factor in the renewal is that the series went up 63 percent in veiwersgip overall in adults 18-49, which is usually the most coveted demographic for ad sales. The next episode of Ash vs. Evil Dead airs Sunday, Oct. 9 at 8 p.m. EST on Starz. You can watch the trailer for season two below.